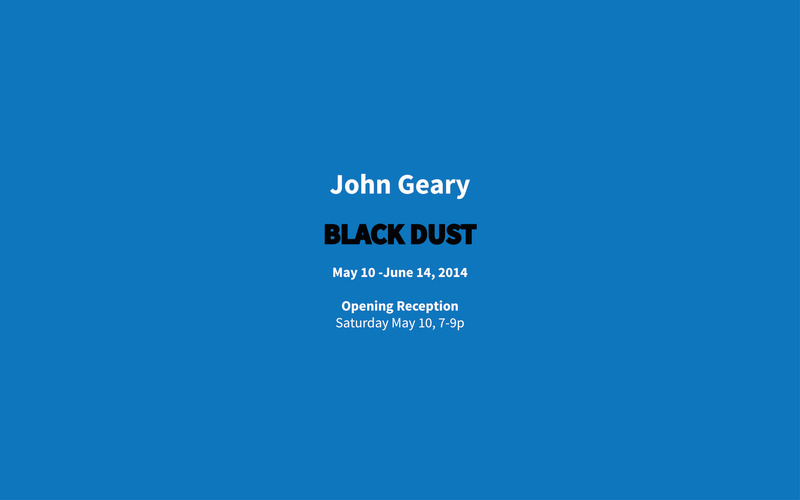 c.nichols project is very pleased to announce Black Dust, artist John Geary’s fist solo exhibition at the gallery. The show will open on May 10th, 2014 and run through June 14th, 2014. An opening reception will be held on Saturday, May 10th, from 7pm – 9pm. c.nichols project is very pleased to announce an exhibition of new works by John Geary. “BLACK DUST” opens on Saturday, May 10 and will run through June 14, 2014, marking the artists first solo exhibition at the gallery. "BLACK DUST” offers a new series of charcoal drawings that result from isolating appropriated images of adorable animals from the Internet as well as other sources and rendering them by hand. Using traditional additive and subtractive techniques, Geary utilizes a handful of kneaded erasers to subtract, shift, and shape charcoal on paper to create large-scale works that are strikingly realistic. This meticulous accumulation of energy often results in a single drawing from a month-long process, or even longer. Although Geary works through a traditional technique, his intent is not to copy his subjects. Instead, he chooses to represent them head-on in a frank and contextually isolated fashion. Quite literally blurring the line between subject and object, Geary’s source images are typically stripped from their original context and seem to adopt a consciousness that is more than representational - they become ghostly, empathetic, and eerily human. John Geary lives and works in Santa Monica, CA. He studied Fine Art at the University of Arts in Philadelphia, Pennsylvania, before receiving a MFA from UCLA in 1996. His work has been exhibited across the United States and internationally including solo shoes at ALM Project, Los Angeles, CA; Black Dragon Society, Los Angeles, CA; and Jessica Fredericks Gallery, New York, NY. Selected group exhibitions include: the 2012 Venice Beach Biennial, Hammer Museum, Venice, CA; Summer Exhibition, Track 16 Gallery, Santa Monica, CA; Chain Letter, Soshana Wayne Gallery, Santa Monica, CA; Public Space, La Casa Del Tunel, Tijuana, MX; FriezeArt Fair, Glen Branca “Hallucination City”, Symphony # 13, London, UK; LA Drive-By 2 – The Glazed Gaze, MOP, Sydney, Australia.